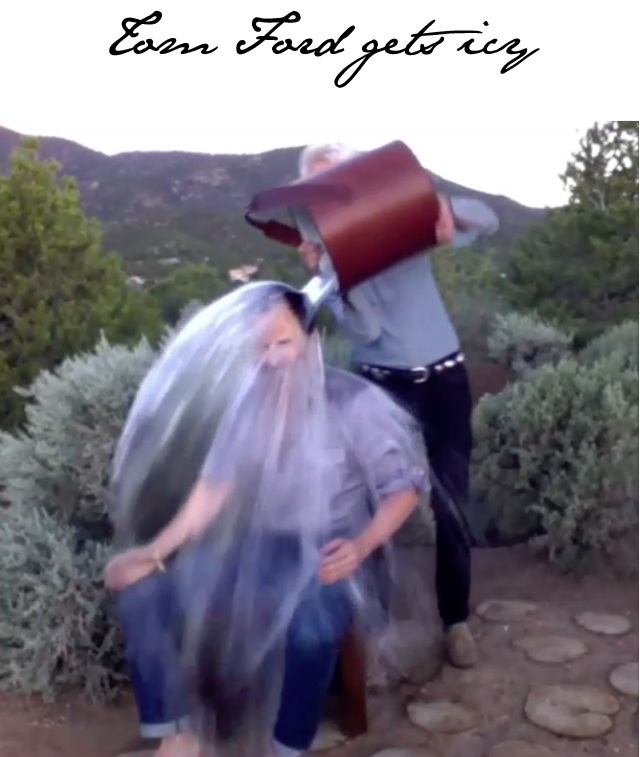 Tom Ford takes the ALS Ice Bucket Challenge, but who did he nominate in return? So we've been waiting to see if Tom Ford would accept Victoria Beckham's challenge for the ALS Ice Bucket Challenge. And guess what? He just did. The video is everything you would imagine coming from Tom Ford. Ford sits in double denim in an undisclosed location, while his partner stands behind him, ice bucket in hand. Before the icy water met Ford's perfectly outfitted bod, the designer nominated two colleagues in the world of fashion to step up to the plate for ALS - Hedi Slimane and Nicolas Ghesquiere. Let's wait and see if they too will take the plunge.